Here we select some dates in Dublin for Summer 2017. There is so much going on in the capital during the Summer that it can be difficult to choose which events to attend. This is our selection of the top events but there are many more depending on your interests. 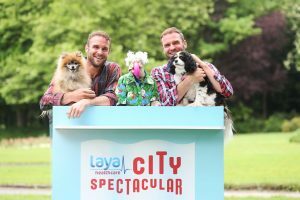 This Ireland’s largest gardening festival and it showcases fabulous gardens from top Irish landscape gardeners and designers. Bloom has something for everyone with food produce exhibitors, floral artists, gardening experts, children’s activities and more. 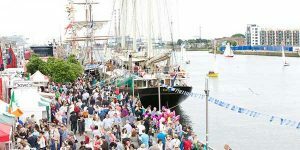 Dublin Riverfest 2017 takes over the River Liffey from Sir John Rogerson’s Quay out through Dublin Port and into Dublin Bay. There is a variety of activities and events including ThunderCat Racing UK, river ferries and cruises, boat tours of Dublin Port and Dublin Bay, Sailing sessions, Stand Up Paddle boarding (SUP) sessions and kayaking trips. There will be free tours of famine ship Jeanie Johnston and seven other tall ships will be on hand also. Lots and lots of other entertainment throughout the weekend. 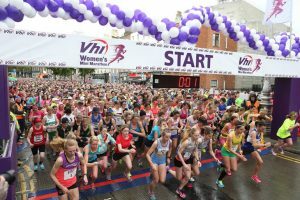 The Dublin Women’s Mini Marathon had about 40,000 participants last year and at least that number is expected this year. For all levels from fun runners to serious athletes. Taste of Dublin is a celebration of Dublin’s food scene. Numerous stalls . tents and exhibitions showing off some of Dublin’s best restaurants and food suppliers in the beautiful surroundings of the Iveagh Gardens. Tasty morsels and dishes of all sorts on offer to delight the palate. 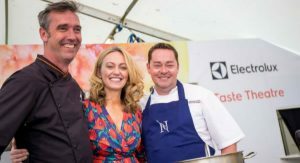 Also demonstarations and workshops given by Ireland’s top chefs including Neven Maguire and Kevin Dundon. June 16th is Bloomsday which commemorates the day in 1904 on which all the action of James Joyce’s novel Ulysses takes place. 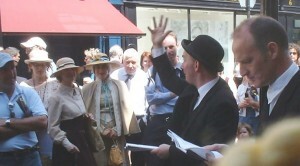 This annual festival celebrates all things Joyce with readings, tours, walks, dressing in period costume, pub crawls, theatre and more. 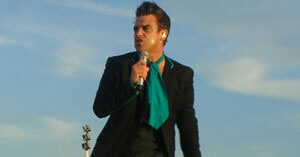 Robbie Williams entertains you at the Aviva Stadium in Dublin this summer.He has had seven No 1 singles as well as numerous top selling albums. Radiohead are coming to Dublin’s 3Arena, promoting their 9th studio album A Moon Shaped Pool. Some love him, some hate him but there is no doubting his popularity. He is expected to perform previous chart-toppers like Baby, as well as current hits including Where Are U Now. The Kerry band are gaining huge popularity at home and abroad and their hit single Speeding Cars sold over 210,000 copies and 59 million streams worldwide. Everything This Way has hit the Top 5 in 7 countries and Top 20 in 23 countries on the iTunes charts. Dublin Pride ends in a parade that crosses the city centre and features the biggest and brightest stars from the Irish LGBT scene. MCM Ireland Comic Con is returning in 2017 to the delight of aficionados of all things comic-book related. Play some newly–released or browse the stalls of comic merchandise, visit the comic village, see robots fighting and lots more. A Head Full Of Dreams Tour includes a performance at Croke Park. A Head Full Of Dreams Tour has played to 2.5 million people in Latin America, the US and Europe and is described as “nothing short of dazzling”. Country music singing sensation Nathan Carter appears in Iveagh Gardens. With his blend of Celtic sounds and country music, he has gathered a huge following of loyal fans. He is likely to perform songs from his album Stayin’ Up All Night including Wontcha Come Down, Wanna Dance, and Temple Bar. Rodrigo and Gabriela first started making music in Mexico City and after travelling around Europe they settled in Ireland playing in bars and on Grafton Street. Since then they have become a world-wide sensation with their energetic singing and acoustic guitar playing. with stories of addiction, depression and hope. Damien’s songs are a unique mix of sadness and happiness, despair and hope and his powerful voice can move you from tears to laughter. ZZ Top are the bearded wonders of rock who have been on the go since 1969. They have retained a loyal following over the years and also gained new fans who want to hear their distinctive blues rock sound which has endured the decades. This is the 12th year of Laya Healthcare’s City Spectacular is going to be even bigger, better and more spectacular than ever. Health, Fun, food, entertainment around the Merrion Square area. 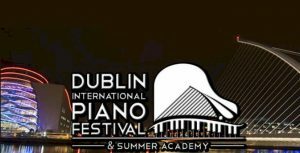 This is the fifth International Piano Festival and Summer Academy in Dublin. It is an educational programme for advanced piano students and an series of concerts for music lovers given by top-class international pianists and emerging artists. Archie Chen will lead masterclasses and there will be performances from Russian pianist Boris Berezovsky and American pianist Frederic Chiu among others. Francesco Tristano will perform some electronic and techno pieces at the closing concert. Follow 12 countries compete in women’s rugby world Cup when it comes to Dublin. Ireland lost to eventual winners England at the 2014 World Cup semi-finals but this time round they have more experience and will be hopong to take the trophy on hime ground. The 144th Dublin Horse Show will be one of Ireland’s biggest sporting and social events in 2017 with over 100,000 visitors expected. Top class national and international show jumping in many grades and ages as well as live music, family entertainment, fashion events, a shopping village, restaurants, bars and snack areas.